Becoming a Certified Nurse Aide is a calling. It requires patience, knowledge and skills. The healthcare industry is always in need of trained CNAs, so it is a career path that is worth taking the training and sitting for the exams. Michigan is in need of qualified, trained CNAs, but few people know the requirements of becoming a CNA in Michigan and where to go for training and certification. We have outlined five steps to becoming a Certified Nursing Aide in the State of Michigan as of 2017. The Bureau of Community and Health Systems regulates the Michigan Nurse Aide Registry for those seeking to provide nursing-related services to residents of care facilities. To become a CNA in Michigan, you need to complete the Nurse Aide Training and Competency Evaluation Program (NATCEP), successfully complete the CNA exam administered by Prometric, and register with the Michigan Department of Licensing and Regulatory Affairs (LARA). 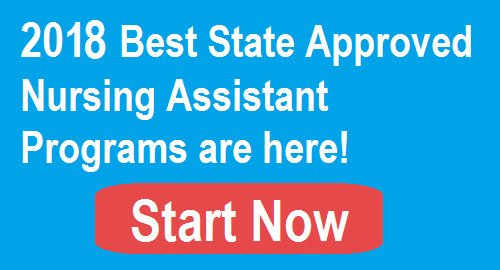 A Certified Nurse Aide from another state is also required to take a state-approved CNA program in Michigan and pass the state exam before working as a CNA in Michigan. A Certified Nurse Aide or Certified Nursing Assistant (CNA) in Michigan is someone who provides care for residents in long-term care facilities. These patients often have various special needs that require training and skills to assist them. They could have conditions that include dementia or other mental illnesses and physical limitations or disabilities. Residents of these facilities are of different ages and abilities, which is why certain education requirements and successful completion of state tests is required for CNA certification in Michigan. The costs associated with CNA classes in Michigan are not set by the State, but the education received must meet certain standards and curriculum requirements as set forth by federal and state laws. There are 207 state-approved Certified Nurse Aide Programs in Michigan. Find your local CNA program providers in the following table. The school data is updated on March 7, 2017. Mount Pleasant Career Quest Learning Centers, Inc.
A Michigan-specific Nurse Aide Training and Competency Evaluation Program (NATCEP) must be completed before sitting for the required CNA state exam. Different schools could have different requirements for how long the CNA training courses take to complete, but all must meet the requirements of no less than 75 hours of training with at least 16 hours of which is classroom instruction in the core curriculum and an additional 16 hours of skills training. Nurse Aide Training Programs must clarify what is expected of the trainee. Adaptation of the content is necessary for adequate skills training for each industry’s population. The trainee should be familiarized with the range of mental states and abilities of their potential charges. Competency in the core CNA skills such as basic nursing, personal care and resident’s rights must be shown. Once the requirements have been met and the test completed, the individual is required to be employed as a CNA in Michigan for no less than eight hours in the previous two years to renew their CNA certification. The State of Michigan contracts with Prometric, a wholly-owned subsidiary of Educational Testing Service, to administer the CNA exam. There will be a Knowledge Test that consists of the information learned in the Certified Nurse Aide Competency Evaluation Program, and a Clinical Skills test that covers the 22 skills necessary to adequately perform the job of a CNA. There is a one-time registration fee for taking the exams, and each individual portion of the exam has a set fee. If an exam must be retaken, the fee only for that portion of the exam must be paid again. Testing is done at various locations throughout Michigan. You can take a CNA practice test online before actually sitting for the CNA state test. A practice test will not have the actual CNA test questions or give you the opportunity to show your skills to the exam administrator, but it should provide an example of the requirements expected during the actual CNA exam. The online exam is also designed to provide feedback to you so you know where your knowledge is incomplete and where to concentrate more of your studying. Certified Nurse Aides in Michigan can be reimbursed for their costs associated with participation in the NATCEP if they successfully complete the program and pass the CNA exams and secure a position in a Medicaid-certified facility within twelve months of completing the program and testing. Nursing facilities in the state are obligated to reimburse employees for successful completion of the NATCEP. The CNAs must complete form MSA-1326 and submit it to their employer within six months of their hire date to be reimbursed. However, the CNA must remain employed by the reimbursing employer for no less than six months. Hospitals, hospice providers and home- and community-based service providers are not obligated to reimburse CNAs for their costs associated with the program. Once you have completed the education and testing requirements to be certified, you must be added to the Michigan Nurse Aide Registry. This shows that you are permitted to work as a CNA for 2 years before recertification in the state of Michigan. How to Renew CNA Certificate? CNA certification in Michigan is not automatically renewed. A notice will be sent by Prometric approximately 45-days prior to the expiration date on your CNA certificate. It is your responsibility to submit the CNA renewal form, proof of employment for at least 8 hours as a Certified Nursing Assistant in the prior 24 months, and the renewal fee of $20 before your certificate expires. No extensions are permitted. If you let your certificate lapse, you must retake both the competency and skills portions of the exam. There is no automatic transfer of CNA certification from any other state to the State of Michigan. Anyone wishing to perform CNA services in Michigan must complete an approved training course, pass the approved tests, and maintain their certificate eligibility. Since other states have their own requirements for working as a CNA, moving to another state with a State of Michigan CNA certification is not a guarantee of employability as a CNA in that state. Not every environment is appropriate for every person, but a new CNA may need to take whatever position is available to them in order to gain experience and on-the-job training. Then the Certified Nurse Aide can choose which types of environment he or she wants to work in. Since CNA positions in home health agencies are sometimes difficult to obtain, applying immediately after training is ideal. Experience can be gained by taking a position in a hospital or skilled nursing facility until an agency finds a client for you. Work as a Certified Nursing Aide can be rewarding. The requirements as set forth by the State of Michigan and the federal government insure that every CNA working with residents either in a facility or in their homes receive the utmost quality care possible, which is determined by the knowledge and skills acquired by the CNA through adequate and approved training and testing. The State regulates and monitors the training and testing requirements for the protection of both the CNA and the client being served.